Stress and burnout are increasingly recognized as urgent issues among resident physicians, especially given the concerning implications of burnout on physician well-being and patient care outcomes. 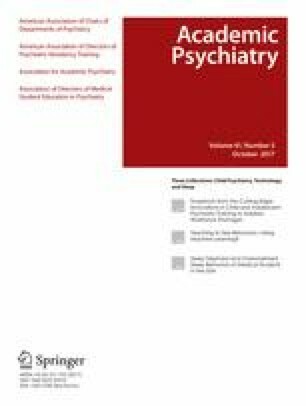 The authors assessed how a mindfulness and meditation practice among residents, supported via a self-guided, smartphone-based mindfulness app, affects wellness as measured by prevalidated surveys. Residents in the departments of general surgery, anesthesia, and obstetrics and gynecology were recruited for participation in this survey-based, four-week, single-arm study. All participants used the app (Headspace) on a self-guided basis, and took surveys at enrollment, at 2 weeks, and at 4 weeks. The Positive and Negative Affect Schedule (PANAS) assessed mood, and the Freiburg Mindfulness Inventory (FMI) measured mindfulness. Forty-three residents enrolled in this study from April 2015 to August 2016; 30 residents (90% female) completed two or more surveys, and so were included for further analysis. In a comparison of baseline scores to week four scores, there was a significant increase in FMI at week four (36.88 ± 7.00; Cohen's d = 0.77, p = 0.005), a trend toward increase in the positive affect score (PAS) (31.73 ± 6.07; Cohen's d = 0.38, p = 0.08), and no change in negative affect score (NAS) (21.62 ± 7.85; Cohen's d = -0.15, p = NS). In mixed-effect multivariate modeling, both the PAS and the FMI scores showed significant positive change with increasing use of the smartphone app (PAS, 0.31 (95% CI 0.03–0.57); FMI, 0.38 (95% CI 0.11–0.66)), while the NAS did not show significant change. Study limitations include self-guided app usage, a homogenous study subject population, insufficient study subjects to perform stratified analysis of the impact of specialty on the findings, lack of control group, and possible influence from the Hawthorne effect. This study suggests the feasibility and efficacy of a short mindfulness intervention delivered by a smartphone app to improve mindfulness and associated resident physician wellness parameters. Louise Wen and Timothy E. Sweeney contributed equally to this work. We thank the Headspace for providing free app usage codes for study participants. Headspace had no role in the design or reporting of this study. The protocol was approved by the Stanford IRB, protocol #33575. The authors report no external funding source for this study. The authors declare no conflict of interest.